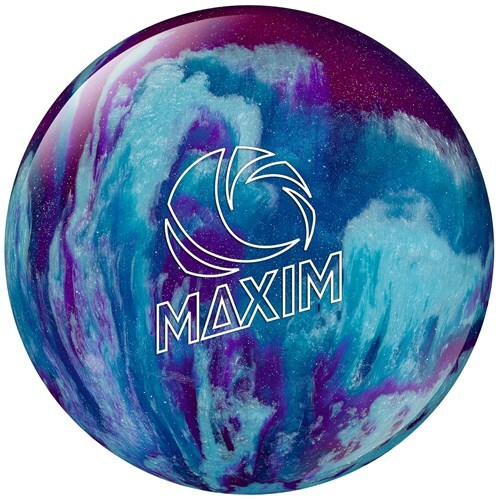 The Ebonite Maxim Purple, Royal, and Silver ball was designed to perform well on dry lanes and/or for picking up spares. This ball is covered in a Hard Polyester that is made to flow easily over the lane arriving right where you direct it to. Have fun at a blacklight alley too using this Ebonite Maxim Glow Ball today! Have had spare balls in the past. This one is better than the plastic ones I've had in the past. It goes straighter, the plastic hook too much. This is a good spare ball. I would recommend to beginners though. I don't use it anymore I because it's too light but yes it works on dry and mid dry conditions. If its too oily you wont get most spares. Hello Dee! We don't know your finger size. If you want to get the ball drilled with us, you would have to take a look at the measurements for the different sizes of drilling that we offer and select from those accordingly. 4 of 7 customers found this answer helpful. Did you? Yes | No Did you find this answer helpful? Yes | No Thanks for your feedback! Yes, of course! All you have to do is select NO to the drilling option. Due to the time it takes to produce the Ebonite Maxim Purple/Royal/Silver ball it will ship in immediately. We cannot ship this ball outside the United States.